It’s not every week that one of your musical heroes releases a new album, so when two do then surely I’m allowed a certain weakness in the knees. 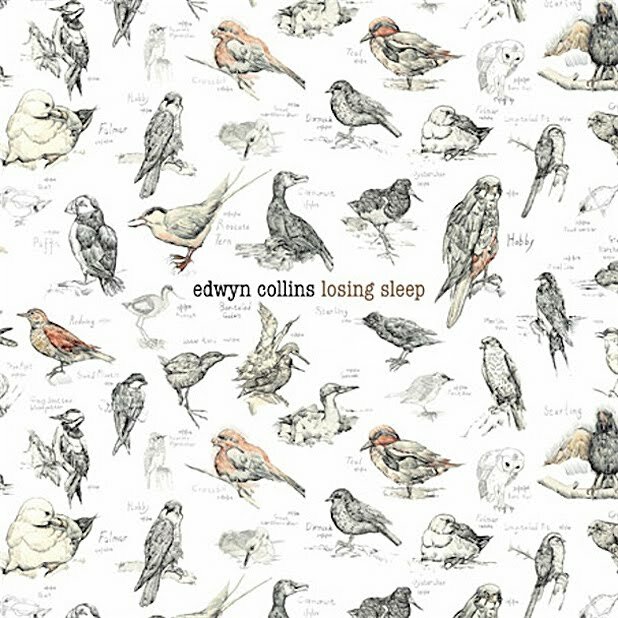 Edwyn Collins and Lloyd Cole have new releases and I couldn’t be happier. Both CD’s come lovingly wrapped in simple, glossy, cardboard sleeves with Collins’ winning out as the nicer artifact as it is decorated with his wonderful sketches of birds (see right). I know such things count for little, but leave me alone. I’m excited. Edwyn Collins’ album is Losing Sleep, and he has called in favours all over the shop. There’s a Crib, a Magic Number, and a couple of Ferdinands, all bands who would acknowledge the importance of Collins, and particularly Orange Juice, on their work. Very exciting are the appearances of Sir Johnny Marr and Edwyn’s musical cousin Roddy Frame. These are recording sessions that I would have offered a lung to be able to sit in on. Which is my favourite? I haven’t considered them in those terms. These records have only been in my house for a week but already they have been played more than anything else bought this year (with the exception of John Grant’s sublime Queen of Denmark). I’ve tried to work out why that is. Yes, there is a bit of nostalgia, and a large dose of comfortable recognition, but there’s also some great music being made. But most of all Edwyn Collins and Lloyd Cole have made records that, when put together, sound like I feel at this moment in time.